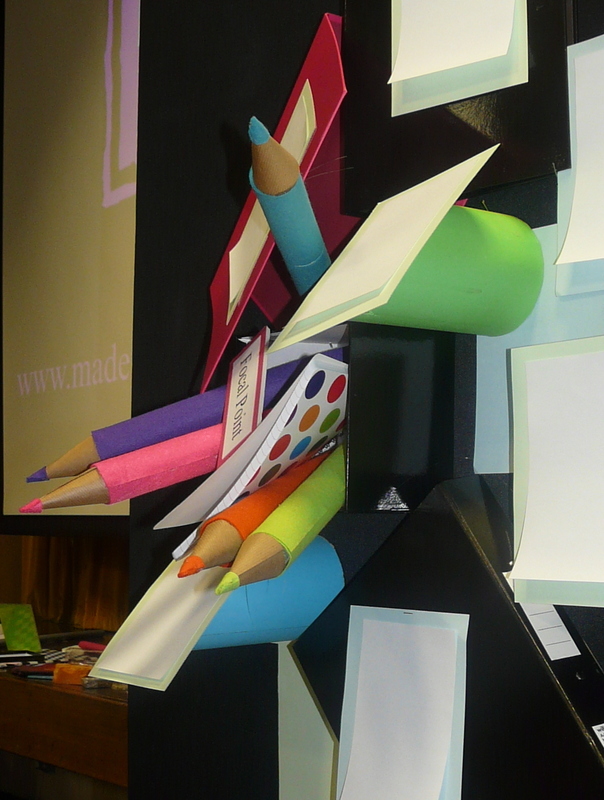 Classroom displays needn’t be flat and uninspiring – they should be exciting and fun! By showing teachers how we create the ‘wow!’ factor in window displays, the materials used in our prop-making and of course the same basic display guidelines we use in any display, teachers are inspired. By pulling our skills and theirs together, magnificent displays are created. Our presentations are equally suitable for educational displays and museums too. Where flat material is your ‘subject matter’, we inspire you in ways to bring it alive – in this instance children’s school work with simple props we’d made beforehand. Following the teachers’ normal working day, we were invited to give our short presentation to them all. We then broke them into subject groups to work with class materials they had brought along. Some fabulous displays emerged and from such a short time together. We were delighted.